National Parks Collage. Click for a larger version. America’s National Parks are natural, environmental, and photographic treasures. They are high on the list of preferred destinations for professional and amateur photographers alike. To help you show up at right places at the best times to create beautiful images, I put together this ongoing series of articles. Posted January 22, 2017. Most recent update: March 10, 2019. When is the Best Time of Year to Photograph Each of Our National Parks? – Arranged by season. The Best Months to Photograph the Best National Parks – When are our best national parks at their photographic prime? This is your guide to the best months for each park. Arranged alphabetically by parks. Colorado Fall Color Travel and Photography Guide – This is my guide to Colorado in the fall. It has over 100 pages of information on the best places to go, the best times to be there, plus suggestions for places to stay and eat. This guide is updated every year. Winter Photography Hot Spots – Professional photographers pick the best winter photography locations in the U.S. This list includes 8 national parks plus 5 more great locations. My favorite photography guide book to 24 of our best national parks is How to Photograph America’s National Parks, Digital Edition by Tim Fitzharris. There is also an older edition available: National Park Photography. No matter which edition, this is my favorite guide book to photography in the best of the national parks. Tim gives you the best hot spots, the best seasons to go, and lots of photography advice. It is a great book to take with you when you photograph the parks. It is in my car when I head out to photograph a national park I haven’t been to before. You can learn more about Tim’s book in this article. Treasured Lands by Q. T. Luong. 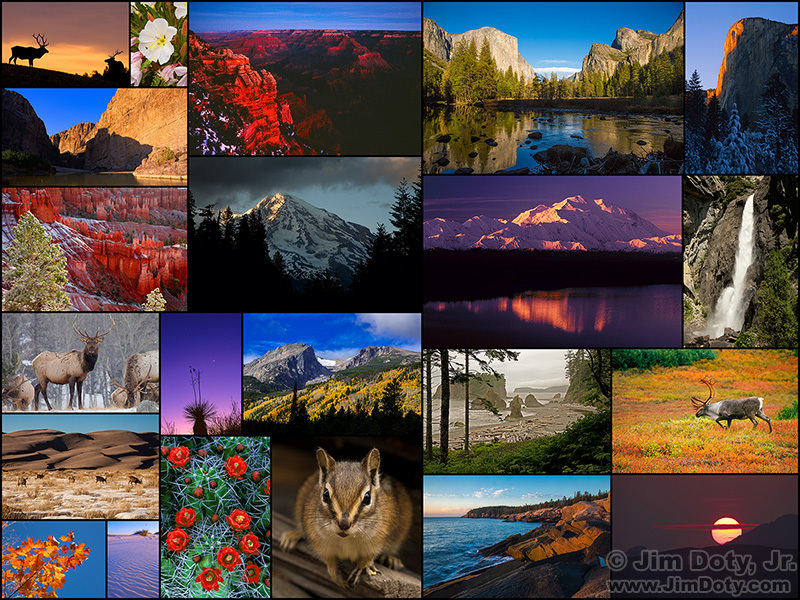 This is far and away the best collection of photos taken by one person in all 59 of our national parks. This is a big, beautiful, coffee table book you can go to again and again for location ideas and inspiration. While this is not strictly a photography guide book, it does give location information for every photograph in the book. You can learn more about this book in this article. To find more of the best photography location guides for the national parks plus a lot more of the best scenic locations in the Unites States and Canada, read The Best Scenic Photo Location Guides. Some of my favorite photo location guides. 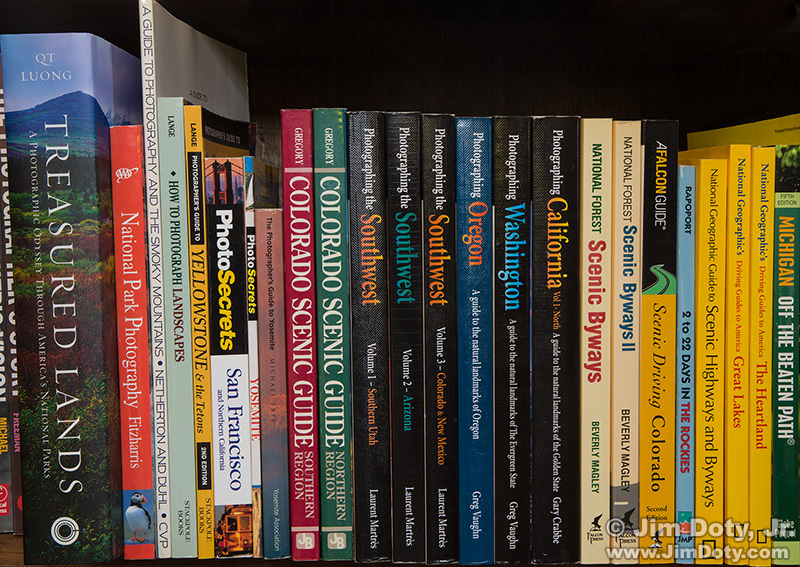 All of my favorite photo location guides are in the Scenic Photo Locations Guides section of my photography store which has direct links to Amazon.com. If you use the links in my store you get the same great Amazon prices, delivery, and guarantee and you help support my photography web sites. Thanks! National Audubon Society Guide to Photographing America’s National Parks: Digital Edition by Fitzharris. Updated edition. National Park Photography by Tim Fitzharris, older edition.